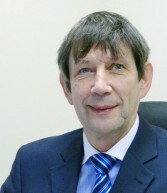 Chris is the other partner in the firm, has nearly 40 years’ experience. He has been with the firm since 1976. Chris is a property solicitor and works in the specialist area of property conveyancing and he helps people looking to purchase commercial property to complete the transaction smoothly and on time. Chris also deals with the sale and purchase of residential property too and helps many people through the complicated process from start to finish. Whatever your property needs, Chris will be able to expertly guide you through to completion. “I was born and educated in Walthamstow and joined Romain Coleman in 1976 and became a partner in 1981. I have over thirty years’ experience as a property solicitor and advise clients (both corporate and private) on all types of commercial and residential property transactions including sales, purchases, lettings, mortgages, developments and lease enfranchisement. I have particular expertise in auction sales, shop and office lettings and lease extensions and I have also acted for clients on a multi-million pound sale of development land.